Ranveer Singh and Sara Ali Khan‘s Simmba has already crossed the Rs 100 crore mark in just five days at the Box Office. With this, the film has also crossed the lifetime business of Ayushmann Khurrana’s Badhaai Ho. Simmba is now the sixth-highest grosser of the year 2018. Rohit Shetty‘s film Simmba is running successfully at the Box Office and has garnered a total of Rs. 139.03 crore in India. It has crossed Ayushmann Khurrana‘s Badhaai Ho (Rs 136.88 crore) collection. 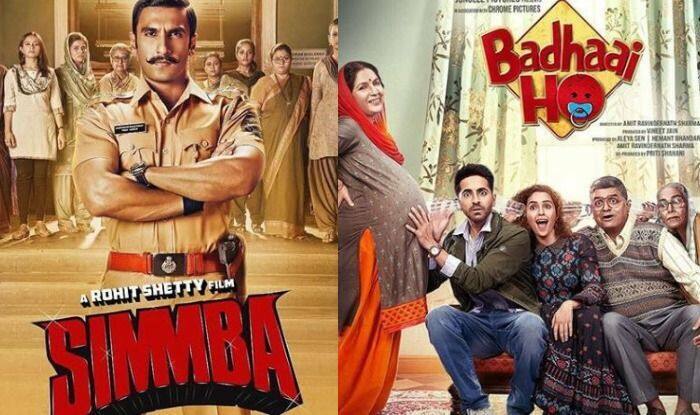 It is being said that in a few more days, Simmba will surpass Thugs of Hindostan, Race 3 and Baaghi 2 and grab the third spot in the list.